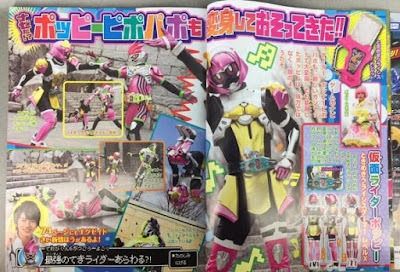 The latest issue of Terebi-Kun is now online featuring the upcoming Level 99 form for Kamen Rider Para-DX and the first female Gamer Rider, Kamen Rider Poppy. Read all about it after the break. 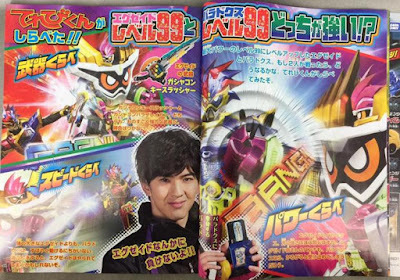 After obtaining his own Gamer Driver, Kamen Rider Para-DX will now have the power to match Kamen Rider EX-Aid's Level 99 form by leveling-up into Kamen Rider Para-DX Perfect Knockout Fighter Level 99! 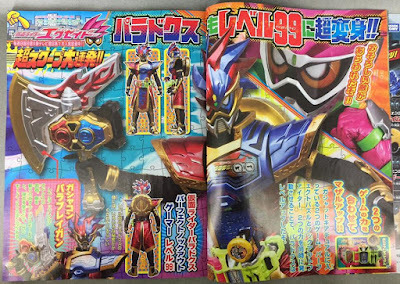 Now, he is on the same power level as EX-Aid. 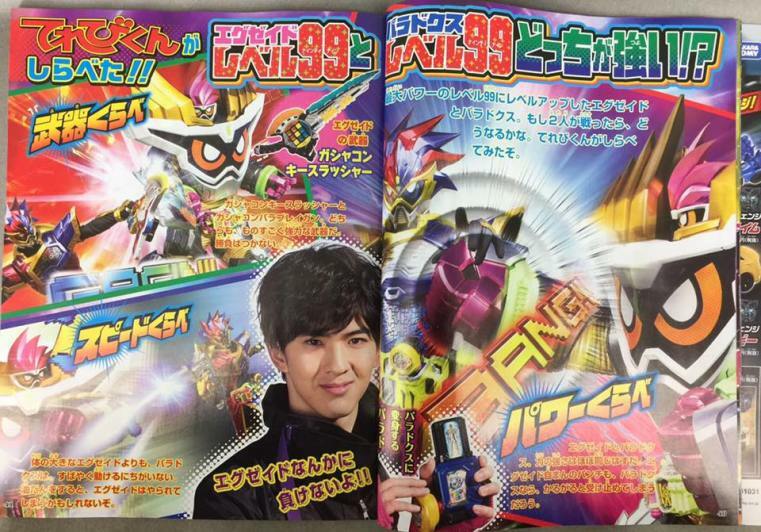 Kamen Rider Para-DX Perfect Knockout Fighter Level 99 is armed with the Parabragun which has 2 modes suitable for melee and range fighting. 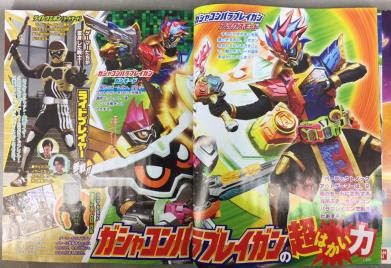 Can EX-Aid stop Para-DX's new and powerful form? 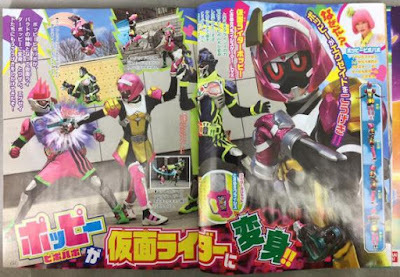 After joining Pallad and the Bugsters, everybody's beloved Poppy Pipopapo will be given a Bugle Driver II and a new Gashat called Tokimeki Crisis, she will transform into the show's first female antagonist Gamer Rider, Kamen Rider Poppy. 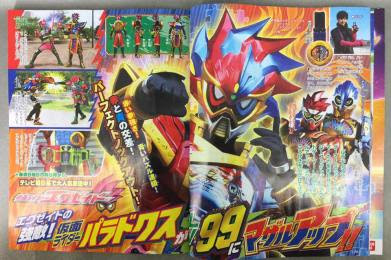 Can Emu gather the will to fight his friend who has now sided the the enemy that he and the other Gamer Rider Have sworn to destroy? 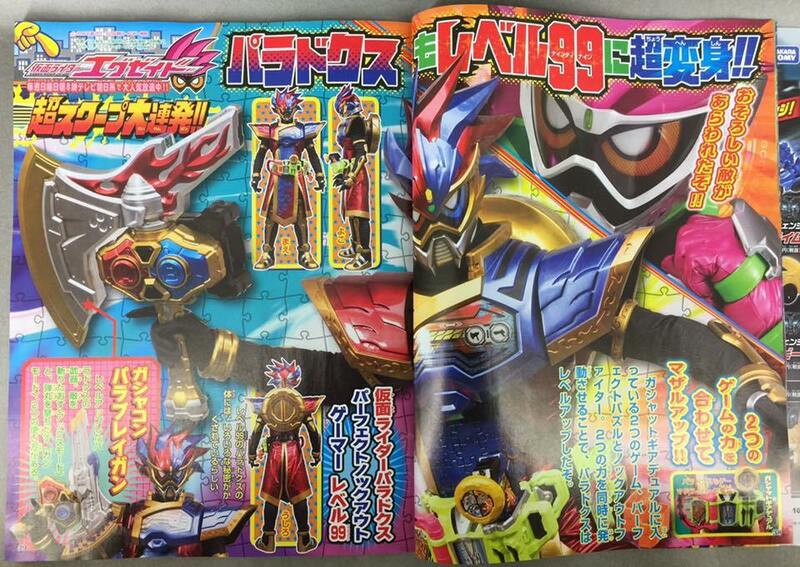 Things will get interestingly dangerous for Emu, Taga and Hiiro this month of April. I'm digging the designs, but what level is Kamen Rider Poppy? Poppy's Level X according to the wiki. I think eyes of kamen rider poppy is blue, why red. maybe she will be good one in one day. She´s level X like genm zombie gamer.